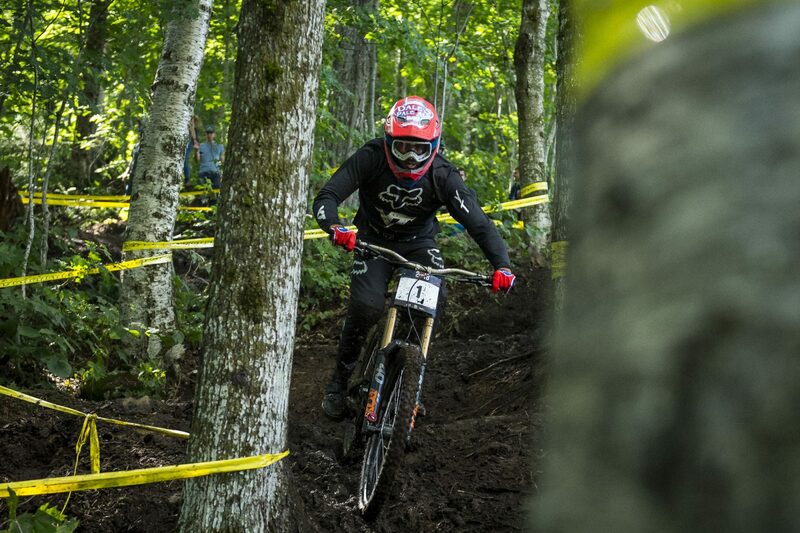 Results are in from the US Open, hosted at Killington in Vermont. Horrendous weather took a major toll on the brutally long, highly technical, rock/root/mud littered track, leaving it in the worst possible conditions for race day. Facing axle deep swamped out ruts and mud sections that at times spanned a good 12 feet, last year’s winner and fastest qualifier – Neko Mulally, emerged victorious as the only rider to break the 5 minute barrier, which served as a testament to the track’s length. In the Women’s category, coming hot off of a win at Canadian National Champs, Vaea Verbeeck cracked the 7 minute mark and upset Samantha Soriano, who posted the fastest qualifying time. On to Mt. St. Anne!